The Cash-For-Clunkers program has been so popular, despite it’s lack of real green benefits, there has been talk of proposals for “Cash for Homes” or “Cash for Computer Servers” and whatnot. In Michigan, the states largest power company wants your energy-gulping, landfill-clogging refrigerators and it’s willing to pay $50 for them and haul them away for free. The programs is a small part of the utility company’s plan to meet its state-mandated goal of reducing energy consumption 5.5 percent by 2012. 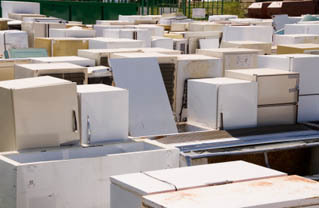 DTE Energy, so far, has collected more than 1,000 old refrigerators and freezers, and is partnering with Washington-based JACO Environmentalto recycle them for parts used in making computers, cell phones and steel rebar. Similar programs can be found in New Jersey and Vermont where statewide programs offers residents a $30 rebate and free appliance pick-up. If your state does not have similar plans in place check with your local utility provider to see if they offer an appliance recycling rebate. Utilities companies estimate that homeowners can save up to $150 a year on their electricity bill by replacing their old refrigerator or freezer with a new Energy-star rated model. 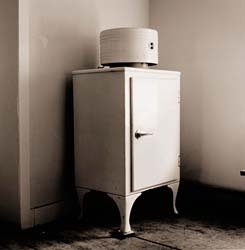 Old refrigerators, made prior to 1990, use three times as much electricity as new ones and emit ozone-depleting chlorofluorocarbons (CFCs).